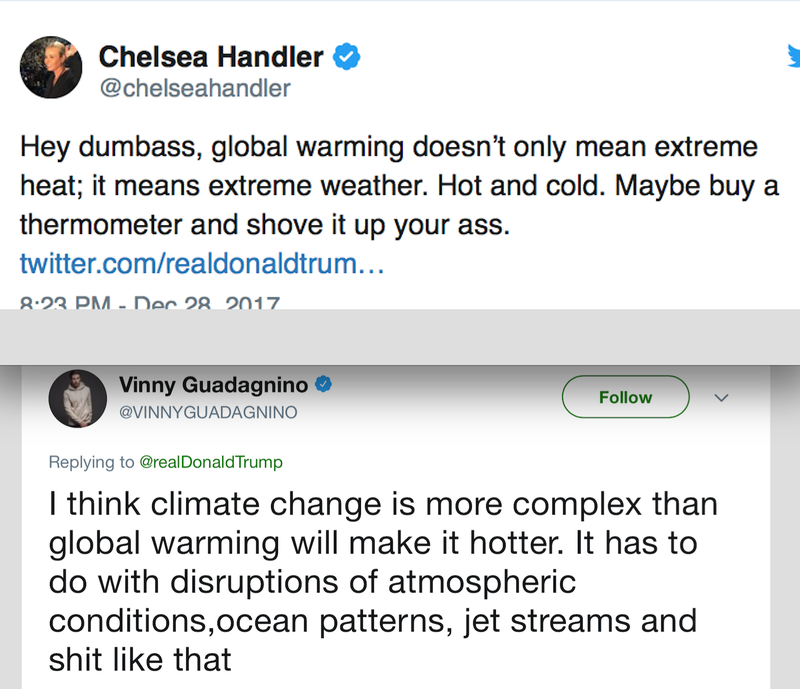 Other noted climate scientists continued the pile on. To make a long story short, none of these people -- none -- seem to get that Trump was tweaking them. And, they could not stop themselves from responding in a way that caused them to make fools of themselves. 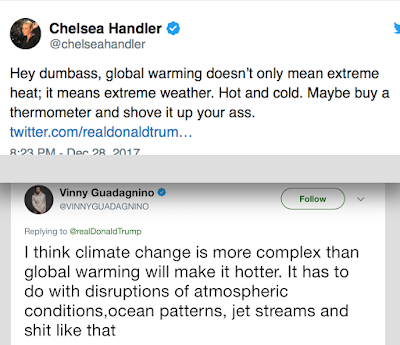 I don't care what Chelsea Handler or Vinny somebody (who is that guy?) has to say. I do care about the credibility of the ever self-immolating news media and I care most of all about my fellow atmospheric scientists continuing to make fools of themselves over global warming. It is killing the credibility of our field, at least outside of DC and NYC. I think on some level they may be sensing it, which is why they, over and over, react in such an over-the-top manner to such tweaking. So, with 2018 upon us, I would like to ask people to think strategically before they run to Twitter and Facebook to print/write for any reason but, especially, to respond to President Trump.